She was hired in 2010 to come down to Fort Myers with the company and she worked there for a couple of years. During this time, she got her first taste of the Florida Keys. Emily grew up in a musical family. “We sang in the car and around the house,” she said. “Mom was in the community choir, and dad taught me the guitar.” She studied music throughout grade school, was self-taught on acoustic guitar and received group and private vocal training as an adult. From Billie Holiday to Bobbie Gentry, Emily embraced folk, rock, jazz, reggae, American roots and more. And yet, when she arrived in Key West, music wasn’t a priority. She kept her hands in the dirt and her eye on the sea, working for the first year at Land Creations Landscaping. She also had a job at Sebago and later as a case worker for the Early Learning Coalition. Then, a year after she first arrived, she began playing music. “I lived at Oceanside and was always playing with friends, like I used to do back home. My first gig was at Hogfish Bar.” She has now been performing steadily as a solo vocalist in the Lower Florida Keys since 2013, with a long list of accolades. Emily has played at many festivals and events such as the Florida Keys Ocean Festival, Wharfstock at Schooner Wharf, Grateful Summer at Boondocks, and the Key West Musicians Festival at Smokin’ Tuna, to name a few. 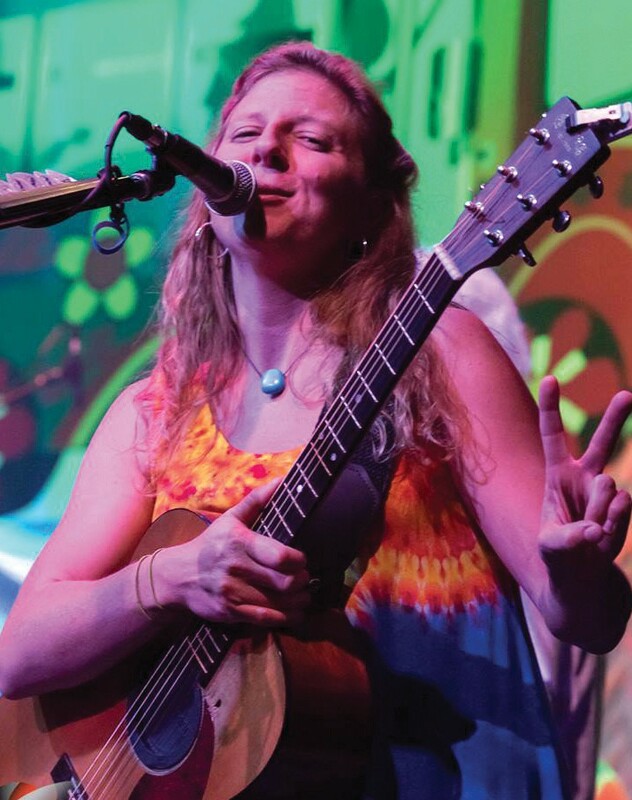 Highlights of this past year include participating in an Earth Day Jam with That Hippie Band — “It’s music from the Woodstock era,” she said — at the Key West Theater and performing at the artisan market for the Ocean Awareness Edition. Emily has a stockade of music piled in her set list, with a lean toward the hippie and socially conscious singer/songwriters: Grateful Dead, Bob Marley, Gordon Lightfoot, Joni Mitchell, Bob Dylan, the Beatles, Woody Guthrie and Neil Young. But there’s also Led Zeppelin, Sublime, Alison Krauss, Doris Day, Creedence Clearwater Revival, Bachman Turner Overdrive, Blondie and Aretha Franklin thrown in for diversity, and that’s just the tip of the iceberg. When she’s not onstage, Emily enjoys kayaking. “I’m concerned about the direction of my art and purpose. To be inspired by, and to protect, the environment and humanitarian issues. To listen and respect each other.” It’s not surprising that in 2008, while still in college, Emily studied in Mexico to learn Spanish because she was considering a career as a migrant worker advocate. As far as her plans for the future? “I’m staunchly pro-sustainable energy conversion, and oppose big oil. I’m now motivated to work to prevent fracking in my hometown in Michigan, as well as the crusty old oil pipelines in the Great Lakes. I’ll also be continuing the annual march against genetically modified foods” she says. Emily is fabulous in every way.